Place names change over time as boundaries move, communities diverge, and identities shift. The places variously called Lyme acquired different names whenever the town’s geographical outlines were reconfigured. 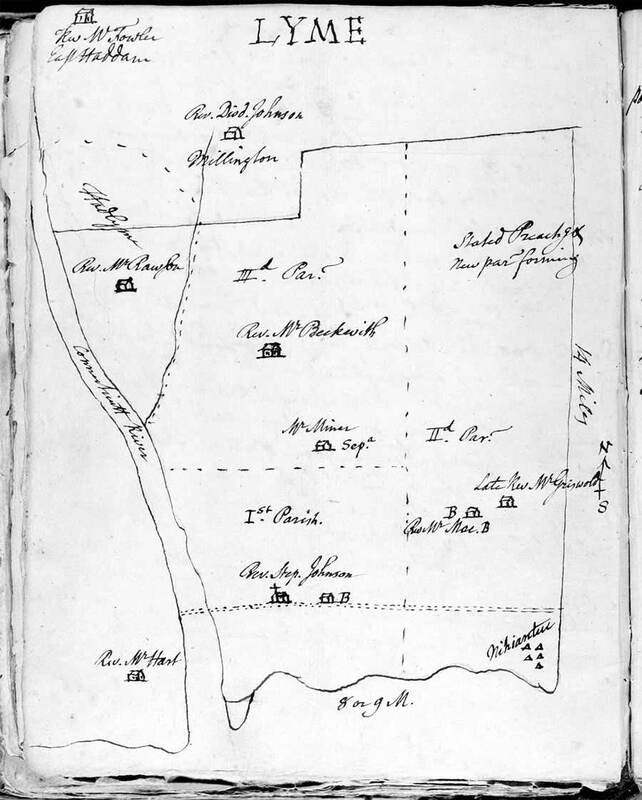 At first the expanse of woodland, meadow, and salt marsh across the Connecticut River from the Saybrook Colony’s original settlement was referred to simply as the “Quarter on the East Side of the River.” The separate town of Lyme resulted from an amicable agreement, known as the “Loving Parting,” that set what had previously been East Saybrook apart on February 13, 1665. 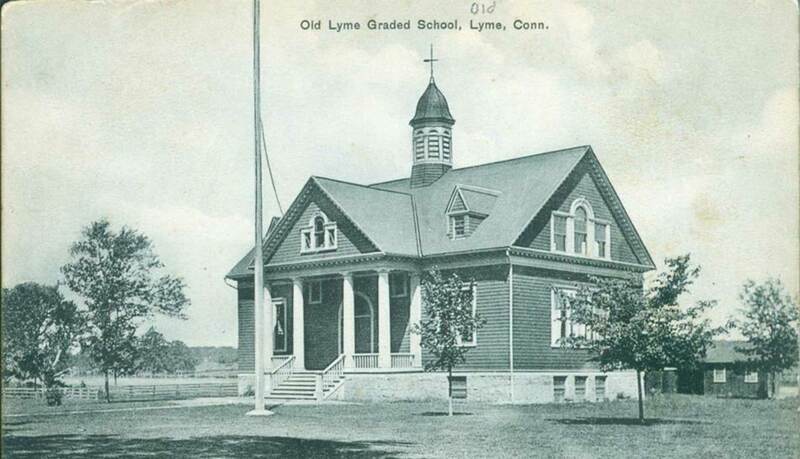 Old Lyme Graded School, Lyme, Conn., Postcard. Collection of Carolyn Wakeman. A century later when Ezra Stiles (1727-1795), a minister and academic who became president of Yale, drew a map of Lyme in 1768, the town had divided into four distinct ecclesiastical societies. Further separations occurred as the population dispersed and the needs of the occupants changed. In 1819 Salem became an incorporated town, followed by in 1839. Finally in 1855 the 27 square miles south of Lord’s Hill, formerly the First Ecclesiastical Society, was set apart and called South Lyme. That name was shortlived. That a petition be brought before the General Assembly now in session praying that the name of this Town be changed from South Lyme to Old Lyme and that Daniel Chadwick Esq be appointed an agent to prepare and present said petition to the General Assembly provided the expense of so doing be not more than Twenty five dollars. The petition was quickly granted, and the earliest settled section of Lyme thereafter became officially known as Old Lyme. Popular usage did not shift quickly. The name “Lyme” had been firmly established for almost two centuries, not just as a geographical and political designation but also as a mailing address and a community identity. The overlapping use of place names did not stop in 1928 when the post office on Lyme Street finally adopted the name “Old Lyme.” Both the Lyme Art Association, which opened its gallery in Old Lyme in 1922, and the Lyme Historical Society retained the town’s earlier place name. 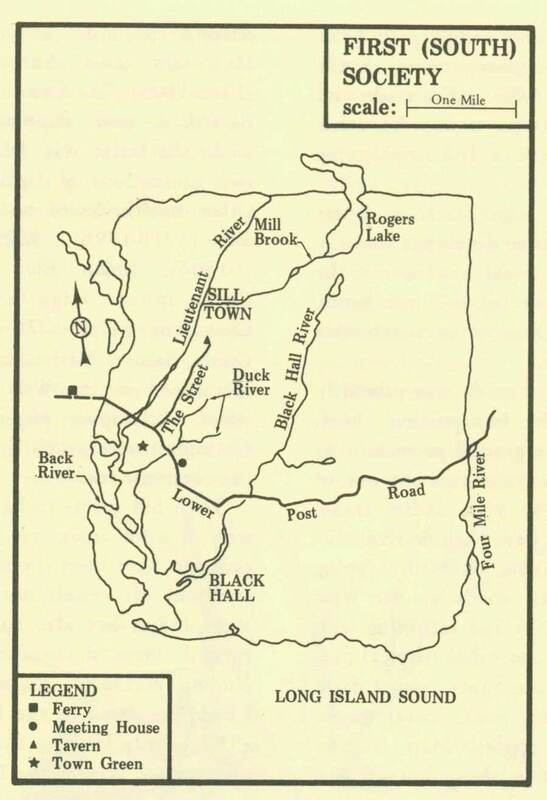 The early history of the town and its ecclesiastical societies can be traced in: J. David Little,Revolutionary Lyme, A Portrait, 1765-1783 (Old Lyme, 1976), pp. 13-16; Susan Hollingsworth Ely, et. al., History of The First Congregational Church of Old Lyme, Connecticut, 1665-1993 (Old Lyme, 1995), pp. 3-8; Olive Tubbs Chendali, East Lyme: Our Town and How It Grew (Mystic, 1989), pp. 91-93. Also see Old Lyme Town Meeting Book, p. 12.